Teacher Appreciation week is coming up soon at our school. 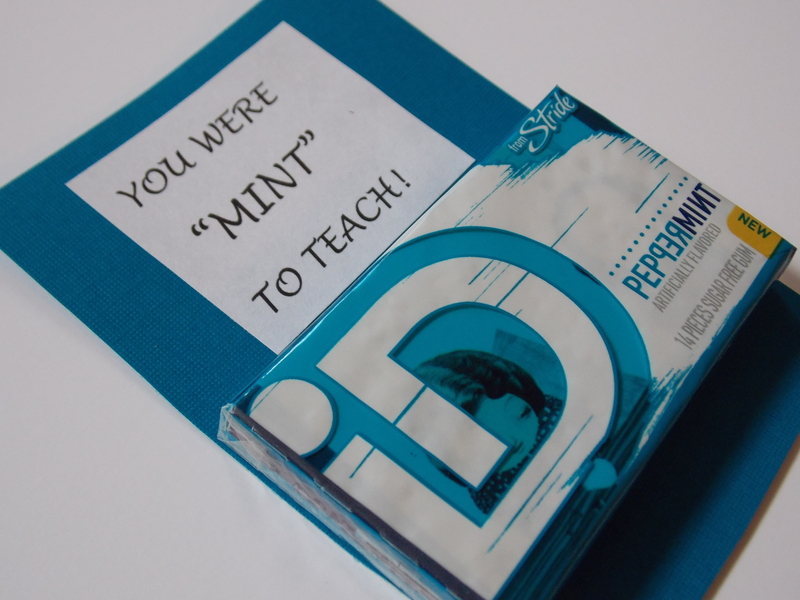 There are oodles of really cute little teacher gift ideas out there, so here’s one that I just put together for our school’s staff. As you can see, I used Extra brand gum in several flavors and just made my own little printable tag glued onto colored cardstock. 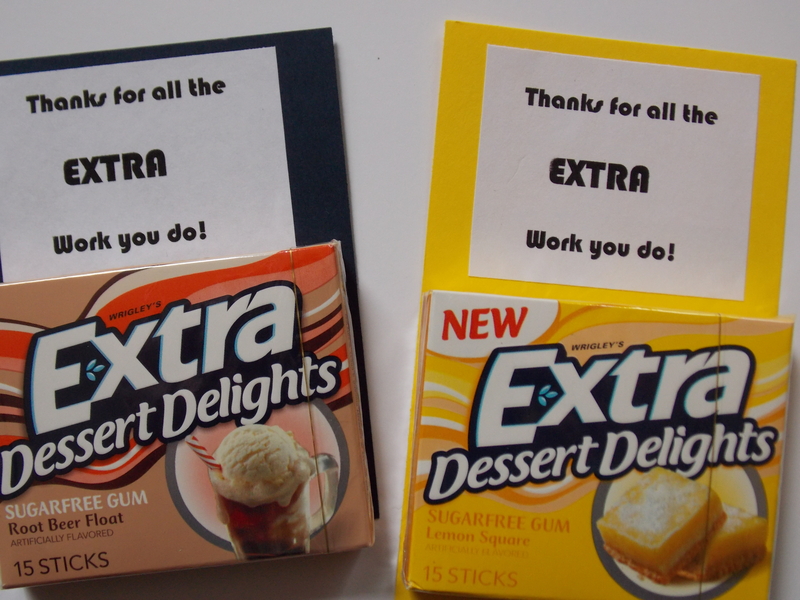 I then used double-sided tape to adhere the gum pack onto the cardstock. 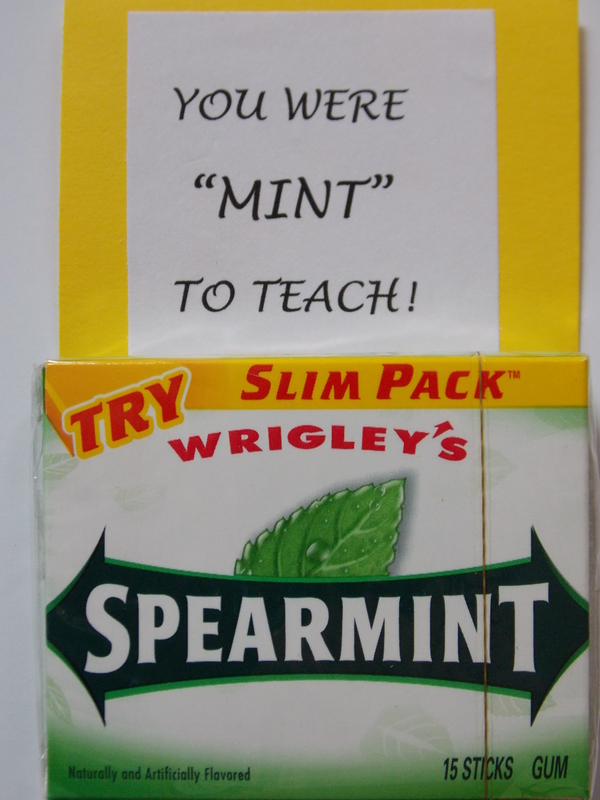 Here’s another take on the same basic idea using mint gum. You could also use this with any minty type of product. Clearly I was in a bright sunny mood when I made these as I may have overly used the eye-popping yellow cardstock. Oh well, it looks Springy! Well, there you have it. Nothing fancy or over the top. 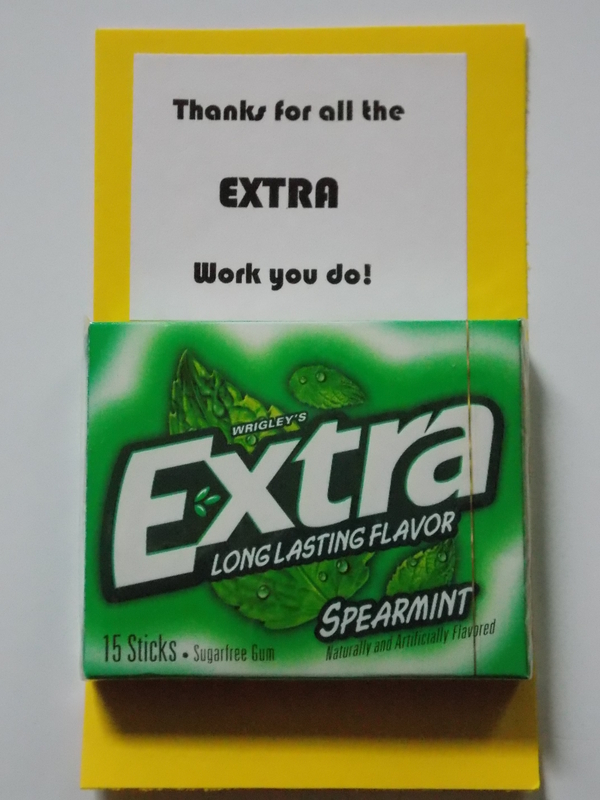 Just a simple, inexpensive, and quick idea to show your kid’s teachers that their work doesn’t go unnoticed or unappreciated. Thanks to all teachers, you are awesome! I have several kids who are currently obsessed with Legos. While pricey, they do provide hours of entertainment. One of my greatest yard sale finds over the past years was a large box just chock full of Lego bricks for $10. Not the kits (which I sorta hate), but basic colored bricks. Since then my little guys have been in love with Legos. My interactions with other Moms have confirmed the fact that they are just several of millions who are also obsessed with these things. Therefore today I am sharing some cool ideas I have found that involve Legos. 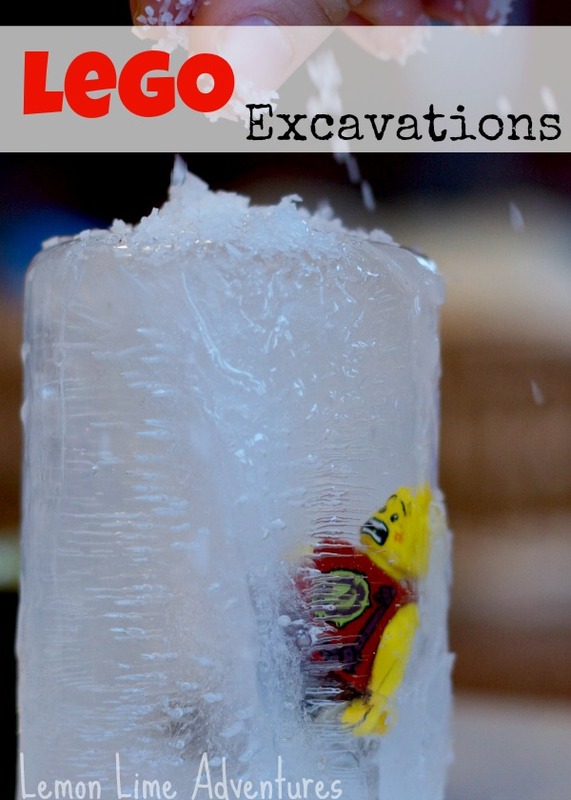 This super cool science experiment from Lemon Lime Adventures used Lego figures in ice. Kids have to figure out the best way to excavate those guys out of there! I thought this was a really clever way to haul Legos so kids can build while in the car. 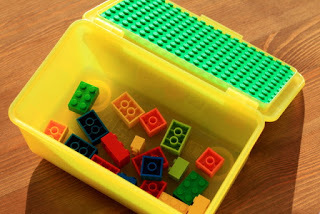 Check out this post from KV Barn that explains how to make your own Lego travel box. I see two of these in our future for summer travelling! The next idea comes from One Perfect Day–a Lego marble run! What a great way to build multiple skills and have fun while you’re at it. 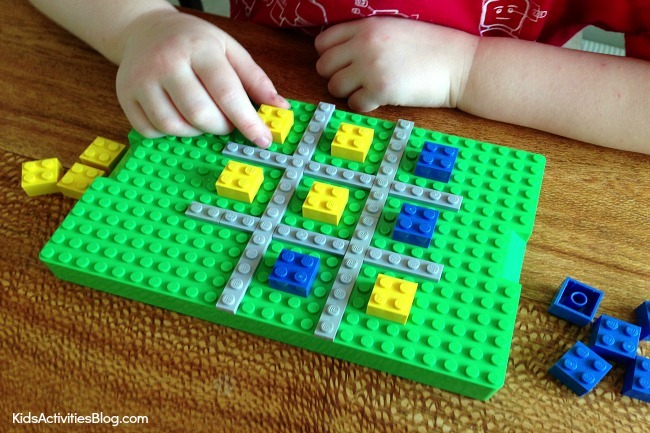 Another more quiet-type of game using Legos is this homemade tic-tac-toe board from the Kids Activities blog. Use two different colored piles of bricks instead of X’s and O’s. 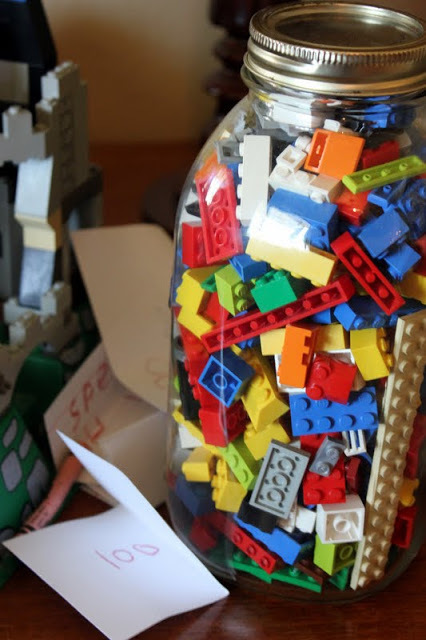 For a cool twist on the classic “How Many ________ Are in the Jar?” game, here’s one using a jar full of Legos. The winner gets to keep what’s in the jar! Check out the Abide With Me blog for this plus tons of other great Lego Party ideas. 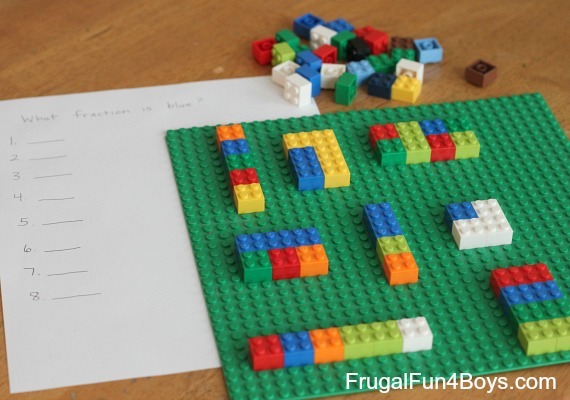 At Frugal Fun 4 Boys, this Mom has a bunch of Lego-based activities. This particular one helps teach kids fractions. 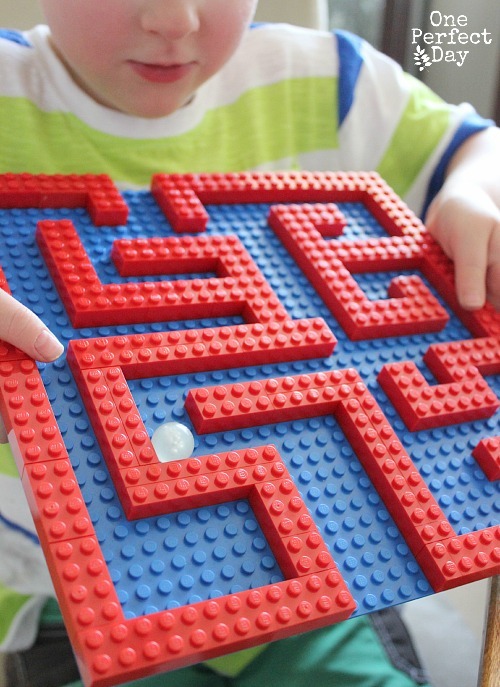 There are SO many ways to use Legos for teaching math (plus other subjects too). Oh my word. 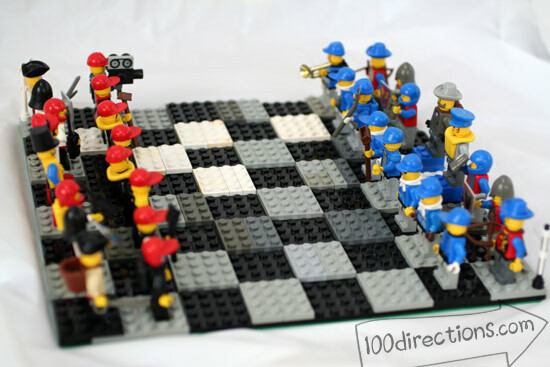 Even though I’m not a chess gal (because I basically stink at strategy games), this chess set made up entirely of Legos and Lego figures is really awesome! Definitely a challenge for the older Lego fan. Go to 100 Directions for the specs on how to make this chess set. 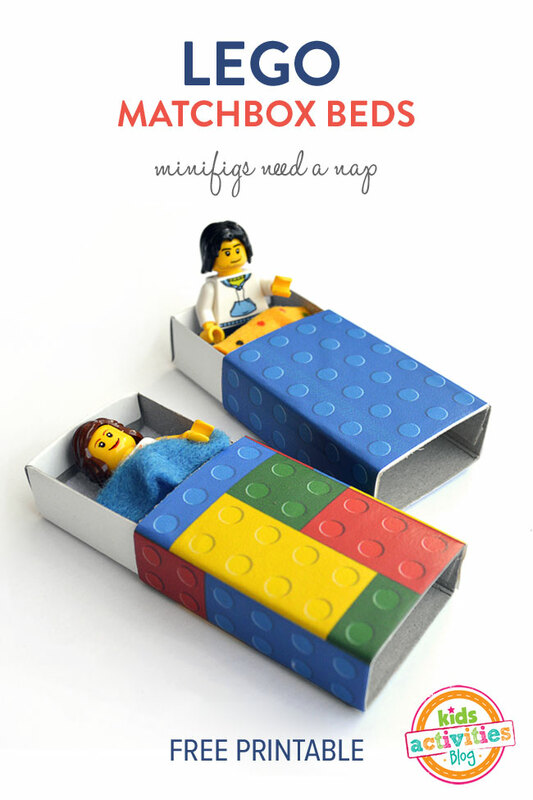 These little beds especially crafted for minifigs are way too cute. I could totally see my little boys loving these for their “guys,” whom they name and sometimes even take to bed with them. Well, I could put so many links on here as there is tons of information out there on Lego-based games, activities, storage, etc—but I’ll stop there. If you have one or more Lego maniacs in your house as I do, hopefully these were an inspiration to you or your kids! I’ll catch ya next time. Here’s hoping you don’t step on too many Legos before then! This is an article from my archives which I wrote a little over 2 years ago. Since we have a really beautiful day for line-drying here, I thought I would do a re-post of it. Today’s post is all about laundry. In the past, I have shared how I’ve saved a bundle making my own laundry detergent and how I enjoy hanging mine out to dry instead of using my dryer. Today I’ll give you some reasons why line-drying is beneficial as well as some useful tips for those of you who line-dry your clothes, or would like to try it out. 1. Saves Energy– Hanging out your wash is a simple and green way to reduce energy waste. 2. Saves Money-Not using your dryer regularly can make a nice reduction in your electric bill. 3. Reduces Wear on Clothes– Do you ever notice how much lint is collected after running your dryer? That’s all stuff being worn off of the fabric of your clothing. Allowing your clothes to air dry will lengthen the lifespan of most clothing items. 4. Kills Germs– Sunshine can be a wonderful thing. When it comes to laundry, it has antibacterial qualities, effectively killing off germs. 5. 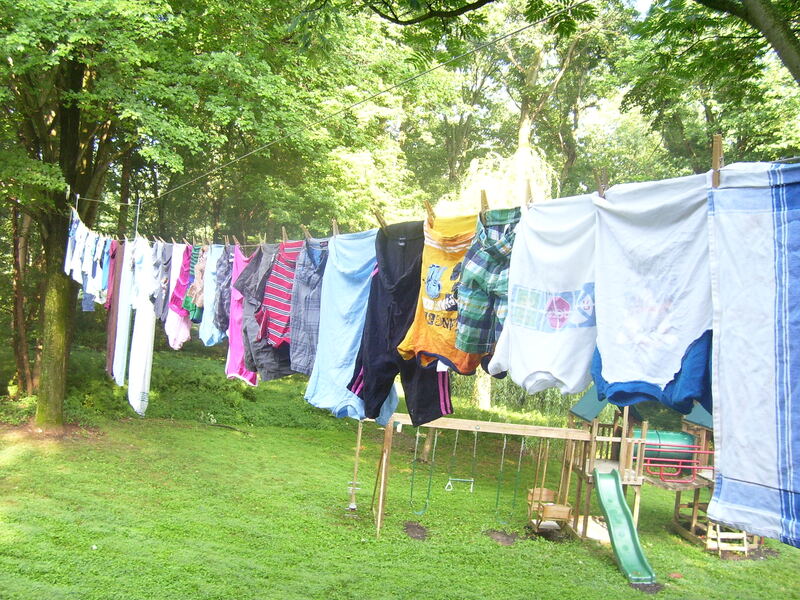 Freshness– There’s nothing like the smell of laundry that has been blowing out in the breeze and sunshine all day. As far as I’m concerned, no store-bought product can really mimic it. 6. Physical Activity– Sure, it’s not like going for some intense running or training session, but hanging everything out does use up some muscle and energy. Hey, every little bit counts, right? 7. Soothing– You may think this sounds weird, but I find hanging out laundry to be very soothing and almost relaxing. I’m usually able to at least sort of tune out my family during the time it takes to do this. Believe me, being out in the fresh air and sunshine is good for people too!! –Shake your clothing pieces out right before hanging. This will help reduce wrinkles. –Hang shirts by their bottom hem. Doing so keeps them from getting pulled out and weird-looking at the shoulders. –Avoid overlapping items. Try to hang everything so it’s just a single thickness, if possible. 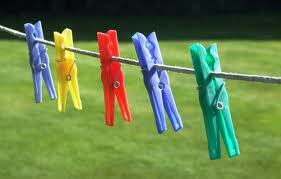 -For larger or heavier items, use more than 2 clothespins to keep it from sagging. Or from blowing off if it is a really windy day! –Watch the weather. Believe me, it is so frustrating to hang everything out only to have it not dry properly or have them rained on! Before hanging, make sure the whole day looks decent for hanging. –Start your wash early. If you plan on hanging multiple loads in a day, start washing early enough so you can get everything out in good time. This is especially important if you have somewhere to go in the morning. Get it out before leaving the house! –Plan wash on fair weather days. I have actually been doing this a lot lately. I’ve been saving up my loads for good clothes-drying days to reduce my dryer use. –Fluff in the dryer-If you do not like that “crispy” feel air-drying can give jeans or towels, just throw them in the dryer for maybe 5 minutes to fluff them. –Pair socks as you hang– This may save you time later. 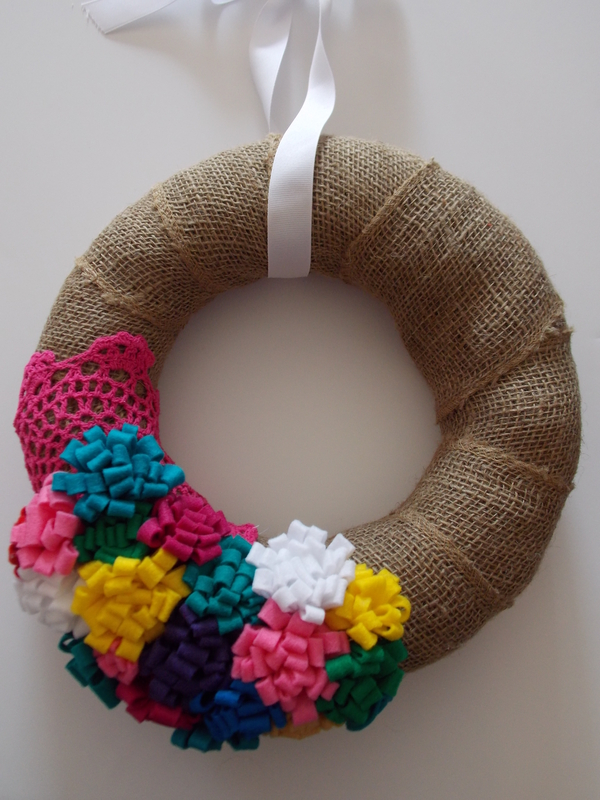 Pair them up and hang both by one corner with a clothespin. –Hang in order– This is one I made up, but I swear it saves me time! If I’m being thoughtful about it, I hang the clothing out in age order. 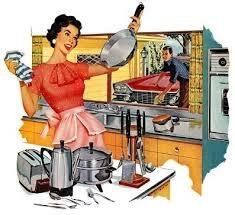 For example, I hang all my husband’s clothes, then mine, then our oldest son’s, and so on. –Fold as you take down– If I follow the step above, I fold as I go and it’s already sorted and ready to put away!! 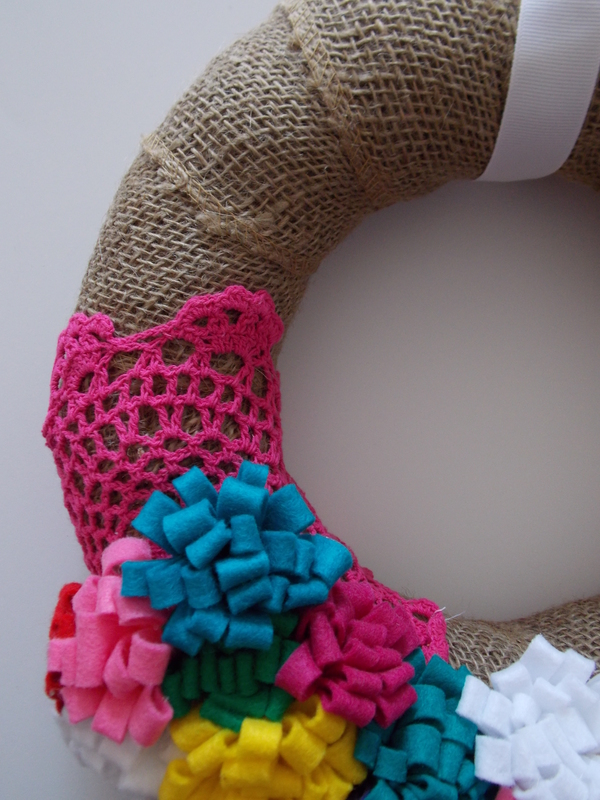 Some pops of bright color make this wreath suitable for hanging in spring or summer. I especially love the contrast in textures between the burlap, felt, and lace. Oh yes, in case you’re wondering, that really is a hot pink lace doily thrown in the mix. I thought it added a little something extra to it. 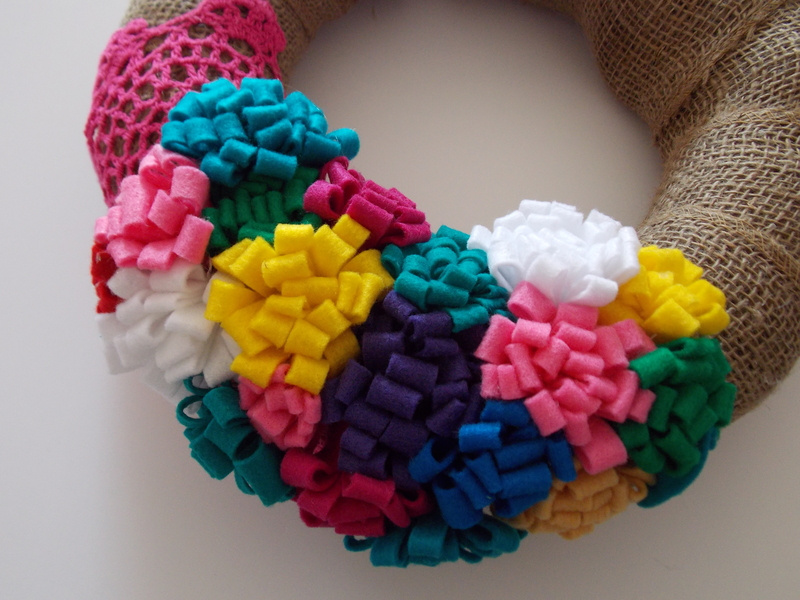 Mixed with this assortment of bright felt flowers, it definitely perks up the burlap. I chose a simple white grosgrain ribbon as a hanger. Easy peasy and kinda fun. 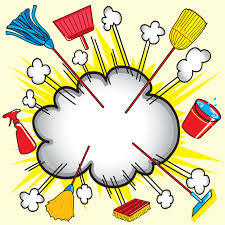 To clean out those closets and deep clean my floor. For it’s been a long winter and definitely a while. And when I open my closet, something falls on my head! Cobwebs and stink bugs are lurking behind the desk. For there’s lots and lots of hard work to do. How did the room get this dog-gone dirty!? It’s not like I haven’t cleaned since I turned thirty! They must be the reason it looked so bad. I tossed some old favorites…Shhh! Don’t tell!!! Lift up the couch cushions, and what do I discover? Goldfish, broken crayons, and a plastic bling-ring. Okay, this cleaning’s gonna put me to the test! Does anyone here care? Will they even give it a glance? Perhaps they will, I’ll just give them a chance. I’m not even done yet, and boy am I pooped. The microwave is full of specks that look strange! Oooh, stale Truffles! I need one…or how about four? Put away the rags, brooms, and crazy cleaning foam. Surely they will notice the hard work that I do? I get myself up and stretch my aching back. Oh well, that’s how it goes…isn’t Spring Cleaning fun?